May all the odds be ever in your favor. and stop fraudsters on the spot. It does not matter for cybercriminals how big your business is. 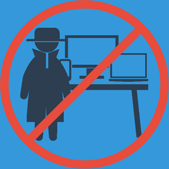 Without proper security, store owners put themselves at risk for payment fraud. The study says that 41% of online retailers got suffered from fraudsters. 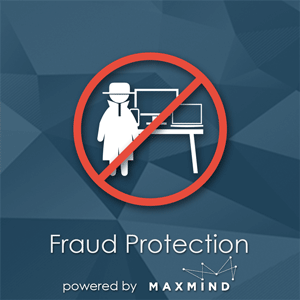 So it’s time to protect your store with our MaxMind Fraud Protection for Magento. Fraud Protection Magento extension by PotatoCommerce uses popular MaxMind minFraud service which identifies risky orders. Once the service returns high minFraud riskScore and IP Risk Score, this anti-fraud Magento extension holds a risky order. 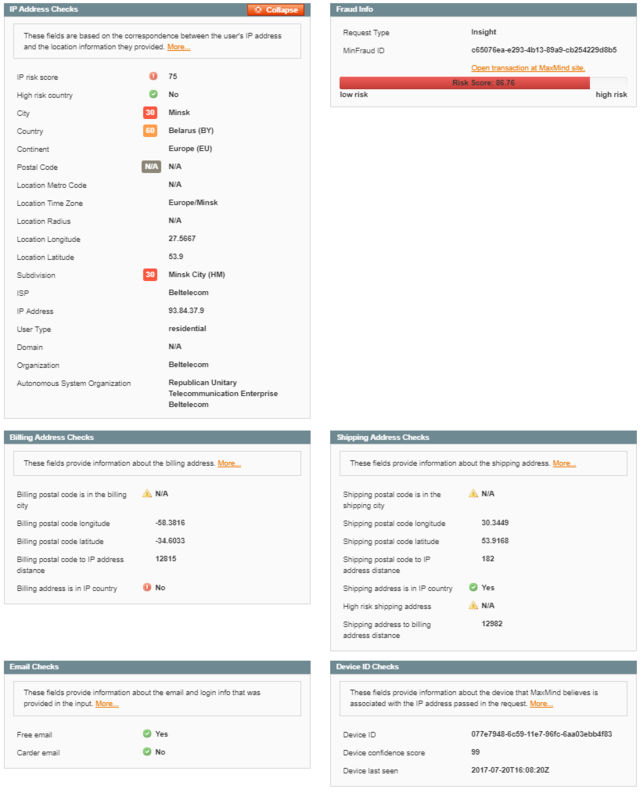 A detailed report of transaction verification is also available in Magento Admin Panel. MaxMind minFraud is a fraud detection service which is used by PotatoCommerce Fraud Prevention extension. 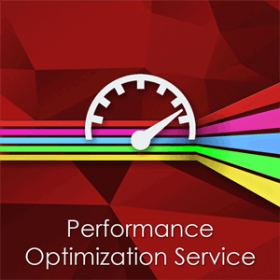 This service is almost free (MaxMind Minfraud pricing is $0.005-$0.030 for a query). Fraud Prevention extension provides real-time fraud analysis. If the riskScore is high, suspicious orders will be held by the extension for further review. It allows immediately stopping shipments and avoiding chargebacks. You can configure the extension the way it will change order status to "On Hold" automatically for further review. 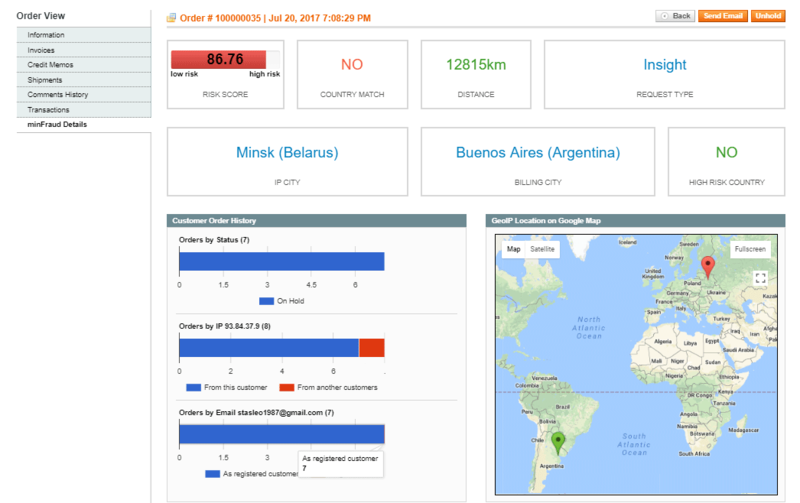 If MaxMind returns a high score, the order will not be completed and an invoice will not be created. As you know, most of payment gateways charge merchants for each customer's chargeback request. So by using our Fraud Protection (MaxMind), you could save a lot of money by not allowing fraudsters to issue chargebacks. Lots of online store owners do not provide worldwide shipping of their goods because of a high chance to fall into fraudsters’ trap. Our extension dramatically decreases the possibility of such situations and allows you to ship worldwide and not to be afraid to lose your money. Fraud Protection provides the functionality to check the riskScore in the order grid as well as to view it on the order page in Magento Admin Panel. You can instantly review a suspicious order and decide what to do. 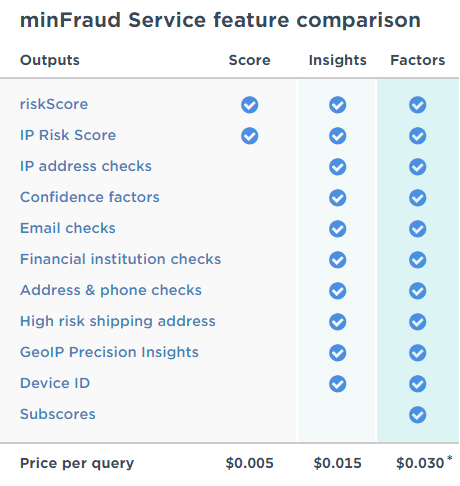 If you use Insights or Factors services from MaxMind minFraud, you will also be able to analyze the details of transactions such as geographical IP address location, identify high-risk IP addresses, email checking, device tracking. All the info on the previous orders is represented in the form of ‘Customer orders history’ pie charts which allow you immediately detect suspicious parameters. By clicking ‘MinFraud Details’ tab in the order details, you will see such information as email, IP and quantity of orders placed from a certain IP address as well as the details on orders placed by a specific customer. Frequently fraudsters may use billing addresses which differ from their actual location. 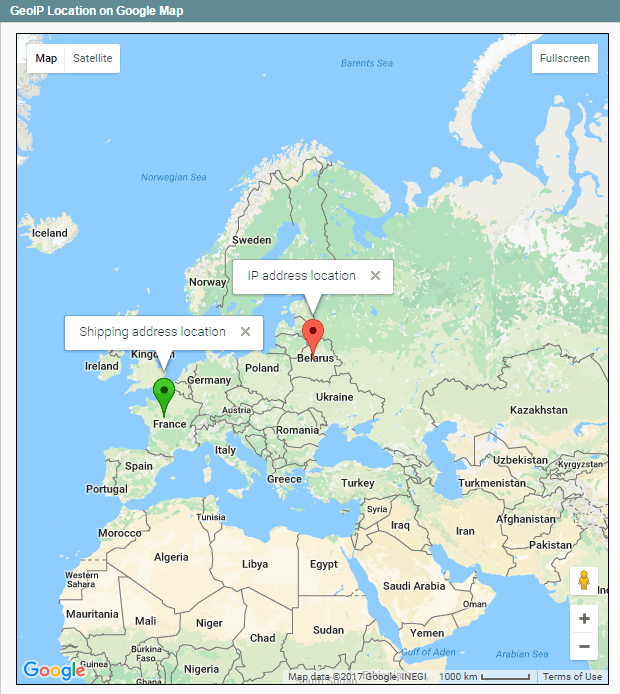 Integration with Google Maps allows displaying a client’s actual location (IP Location), Billing & Shipping addresses on the map. So you can visually evaluate the distance between an actual IP geolocation of a user and billing/shipping addresses. We have implemented a new design in 2.0 version of our fraud detection extension. Now the most important fraud verification details are displayed on top of the page for your convinience. 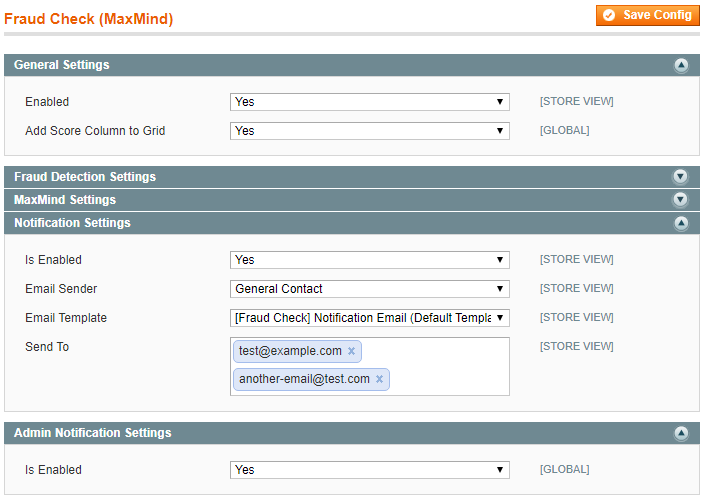 MaxMind MinFraud can also check credit carf information to validate the order. 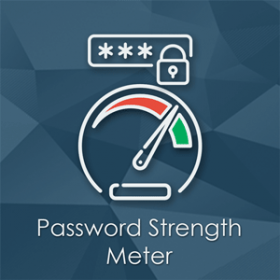 It operates with Card Security Code result, issuer ID number for the credit card, bank name, bank phone number, and address verification system (AVS) check result as returned by the credit card processor. Purchasing this product your recieve the extension license. 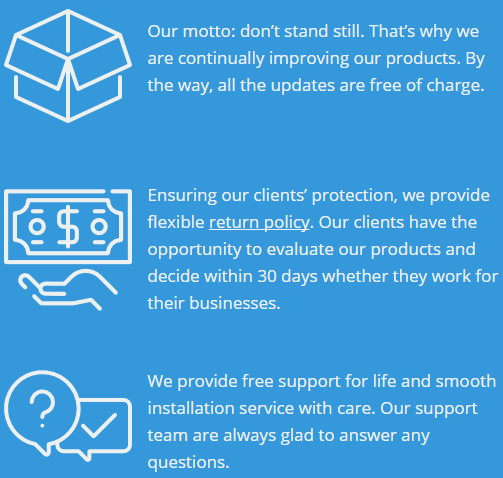 This license includes free technical support, free installation service, free bugfixes, free and lifetime extension updates. You can learn more at EULA and Customer Service pages. MaxMind minFraud has recently introduced a brand-new version of API which intends to replace Standard и Premium requests and allows identifying suspicious transactions more meticulously. Each minFraud service is built on the risk assessment parameters provided by minFraud Score. Choose the proper service for your business as per your requirements and goals. The request type can be selected when registering on the MaxMind website. More details on the services can be found here. I definitely recommend potatocommerce and all their extnesions! I've never seen such an awesome support before! A great, low cost, fraud prevention tool compared with other 3rd party fraud detection services. Instant ROI. I was looking for any solution that would put a HOLD on the order for any suspicious orders, and I came across this extension for magento, and I installed it, then followed instruction to configure with maxMind (literally like 10 min) and everything was working great.. as soon as fraud orders are coming in to our store, this extension automatically puts a hold and sends us the email so we can review it in backend.. Thats Is, finally, the extension now saves us a lots a money and prevents us sending orders to fraud customers who try to take advantage of easy money.. thank you for such a great easy-to-use extension. Our Fraud Check 2.0 extension has two archives: one contains 2.x version of the extension which supports new minFraud API (Score, Insight, Factors); the other one contains 1.x version of the extension which supports MaxMind's minFraud Legacy API (Standard, Premium). 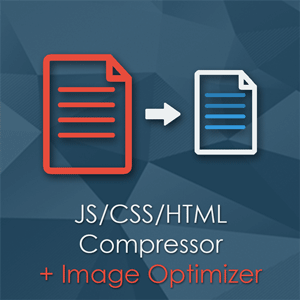 Therefore, it’s up to you to decide which extension version to use. Surely, we recommend using the new version of API (v1.4) because the old version of API is deprecated and can be discontinued. Run compilation process if necessary (Systems > Tools > Compilation > 'Run Compilation Process' button). 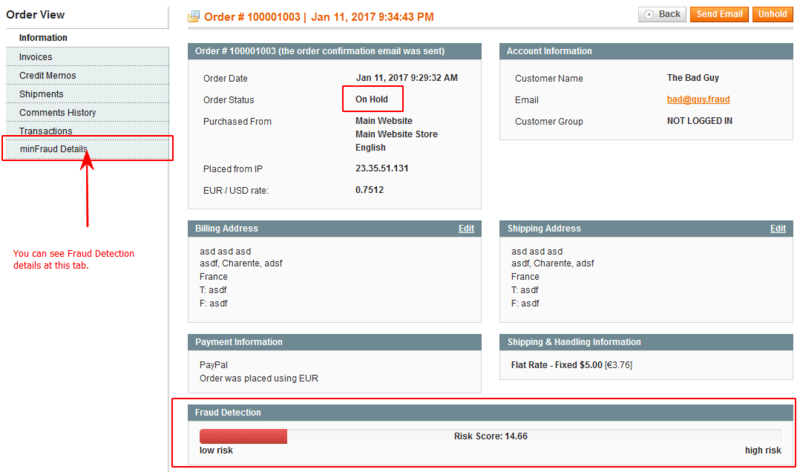 All the previous orders you have got will have fraud check information except IP Risk Score. NB: if you use the previous version of API, please contact MaxMind support (support@maxmind.com) to connect you to the new API. Choose ‘Overflow Threshold Action’ This actions will be performed if the riskScore is greater than the threshold. After installing the Fraud Check extension my store gives error or a blank page. What’s new in MaxMind PHP API v1.4? 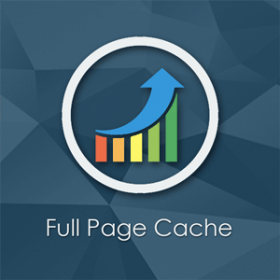 Now the MaxMind service provides 3 types of requests: Score($0.005), Insights($0.015) and Factors($0.030). More information regarding each one can be found here. I specified Factors request type, but now I receive “You do not have permission to use this service interface“ error. To use Factors request type, please send a request to MaxMind support. What is the workflow of the extension from the technical point of view? Will it work with my Payment system? 1. When a new order is saved in Magento, method 'place' of class 'Mage_Sales_Model_Order_Payment' is carried out. 3. The 'checkout_submit_all_after' event is triggered. 4. Once checkout_submit_all_after is triggered, MaxMind returns the riskScore. If the riskScore > Threshold, and the Hold Order action is configured in the settings, the order status will get changed to "On Hold". 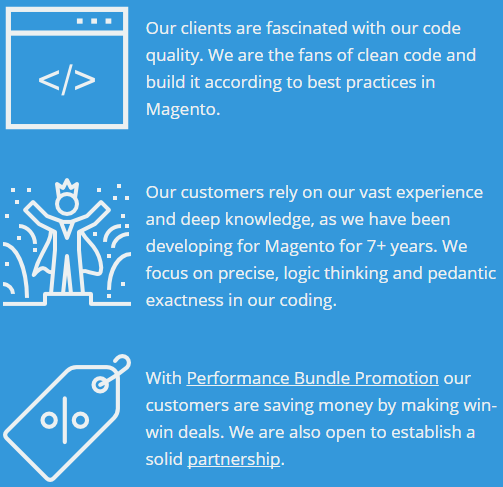 It happens right after the order in Magento is created. When the order is held, it can not be charged. Then it all depends on Payment Method flow. - If payment is processed when method 'place' of class 'Mage_Sales_Model_Order_Payment' is carried out, the Fraud Check extension is going to work correctly out of the box. 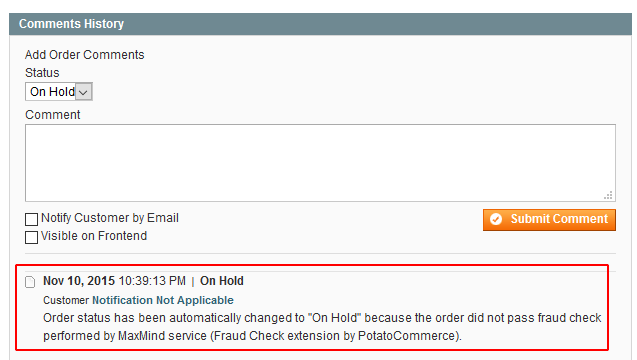 Once the order status is changed to On Hold, the system considers the order as fraudulent. If your client think otherwise, they can contact your support to change the order status. - If payment provider performs a redirect to the payment website, it will work the same way as above. The order may get the On Hold status, but your client won’t know that and will create a payment. 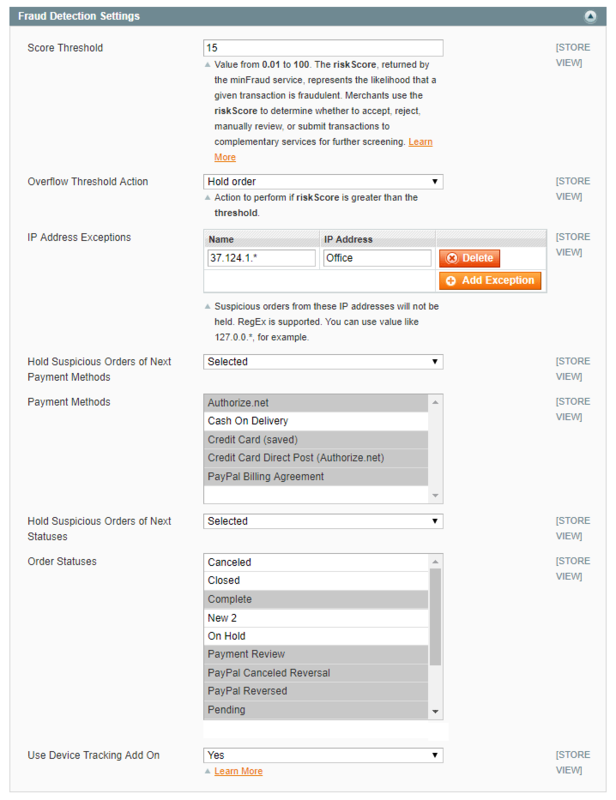 The payment system sends a signal to controller in Magento. If this controller and payment method can work with On Hold status, then there will be no problems. However, if it doesn’t work with orders which have On Hold statuses, the payment will be created without an invoice (due to asynchrony). That’s why there is a necessity to do tests with your payment methods before going live.